Doggo is going for the Jason Pierre-Paul look. Injured his back toe so doctors doing what he can to save it. 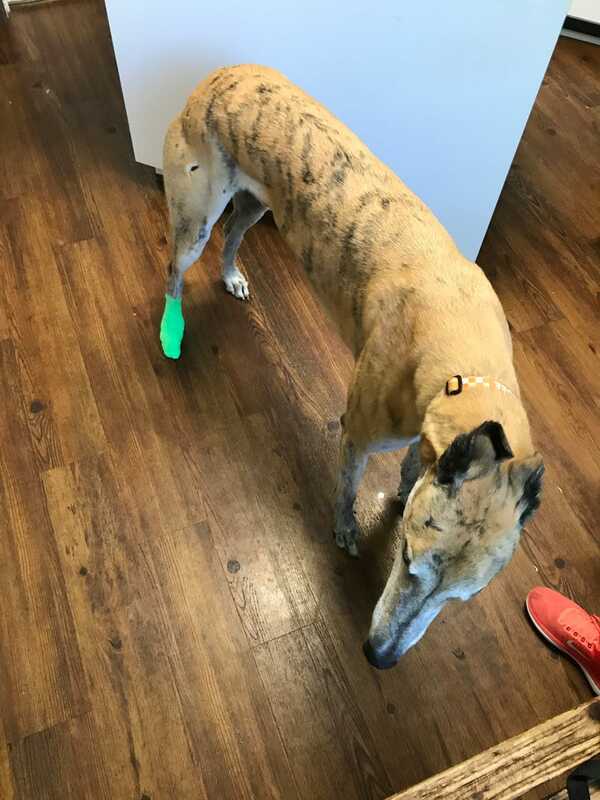 He’s lost one toe on the front already because greyhound. Hopefully the antibiotics from the infection and dressing will help.